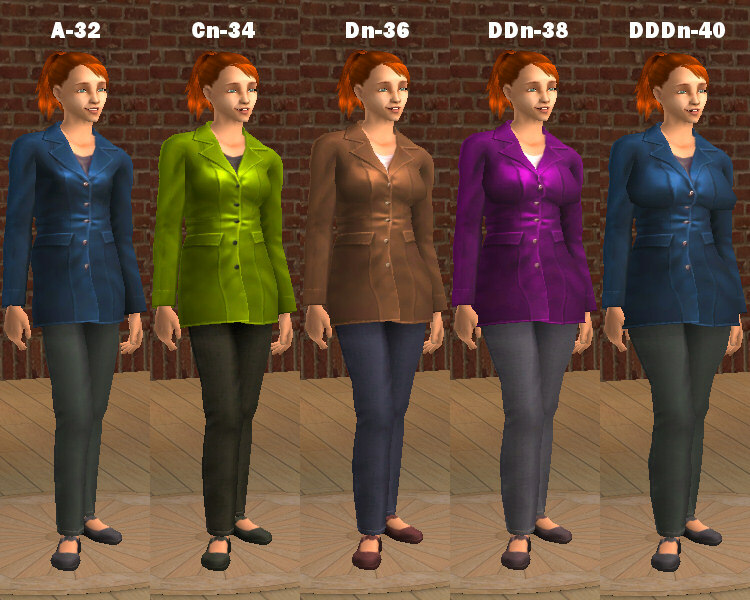 These are all the remaining base game Maxis Leather Jacket outfits, with the textures applied to the LeatherJacket meshes for Warlokk's Bodyshape project. You will need the Full Body Add-On set #3 meshes I made for Warlokk's Hi-Res Female Bodyshape project for the various sizes (see mesh links below). They can also be found in the Body Types section here at MTS2. 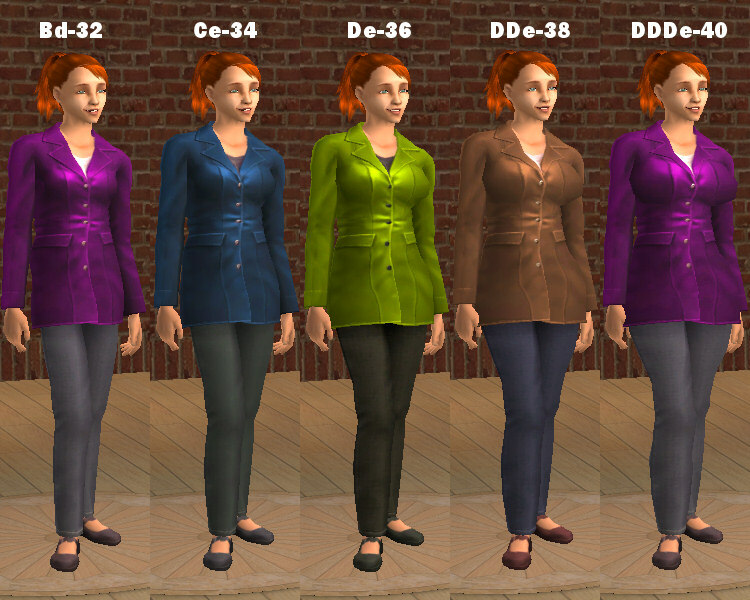 Please keep in mind that for each outfit, there are 45 combinations of chest and hips, bringing this set to a whopping 180 outfits if you were to download all eight .rar files.